Ocean Cleanup's System 001 was towed out of the San Francisco Bay on Sept. 8, 2018. The path to innovation is not always a smooth, straight line. In some cases, it's U-shaped. In September, a 2,000-foot-long floating barrier, shaped like a U, was dispatched to the Great Pacific garbage patch between Hawaii and California, where roughly 1.8 trillion pieces of plastic have formed a floating field of debris roughly twice the size of Texas. Made of connected plastic pipes, the barrier was meant to catch and clean-up the plastic. Invented by Boyan Slat when he was just 17, the barrier has so far done some of what it was designed to accomplish. It travels with wind and wave propulsion, like a U-shaped Pac-Man hungry for plastic. It orients itself in the wind and it catches and concentrates plastic, sort of. But as Slat, now 24, recently discovered with the beta tester for his design, plastic occasionally drifts out of its U-shaped funnel. The other issue with the beta tester, called System 001, is that last week, a 60-feet-long end section broke off. The first issue, Slat said, was likely due to the device's speed. In a September interview with NPR, he said the device averages about four inches per second, which his team has now concluded is too slow. The break in the barrier was due to an issue with the material used to build it. "In principle, I think we are relatively close to getting it working," Slat said in an interview Saturday with NPR's Michel Martin. "It's just that sometimes the plastic is also escaping again. Likely what we have to do is we have to speed up the system so that it constantly moves faster than the plastic." For the material failure, Slat said his team will probably try to locally reinforce the system to combat the problem of material fatigue. "If you have a paper clip and you move that back and forward many times, essentially the material gets weaker," he said. "That's likely what has happened with material of the cleanup system." Slat and the team at his nonprofit, The Ocean Cleanup, are now bringing the system back to Hawaii for repairs and upgrades. Slat told NPR in 2016 that his structure is 10 times further away from land than the world's most remote oil rig, subject to battering waves and storms. When the material failure occurred, it wasn't due to the result of a major Pacific storm. It was just normal wear and tear, Slat said. "We've had conditions twice as worse as we had last weekend, but the system already sort of moved back and forth about 1.5 million times since it's been out there," he said. With an estimated cost of $24.6 million reported by Forbes, and a challenging work environment, the project is high-risk and Slat hopes, high-reward. 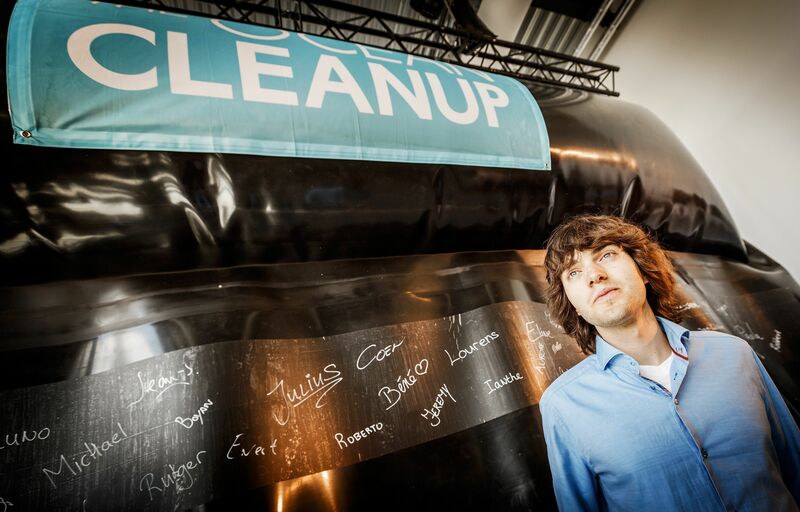 Inventor Boyan Slat presented a prototype of The Ocean Cleanup project on June 22, 2016. But experts on plastic pollution have expressed concerns about the project's effectiveness. George Leonard, chief scientist at Ocean Conservancy, told NPR in September that only 3 to 5 percent of the total amount of ocean plastic actually winds up in systems of circulating currents. He estimates that about 8 million metric tons of plastic go into the ocean each year — roughly the equivalent of one dump truck full of plastic every minute. Critics say efforts should be aimed at preventing plastics from going into the ocean in the first place, and that Slat's barrier project could divert resources away from that goal. Others have expressed concern about the barrier's impact on marine wildlife. A prototype of The Ocean Cleanup project floats off the Dutch coast on June 22, 2016. Slat said that marine wildlife is be able to safely pass underneath a 10-foot deep screen under the pipe meant to catch debris. However, Wired reported that the pipes could attract and lead animals straight into plastic-polluted waters, and may also shed nano-sized particles of plastic into the water when hit with the sun's rays. The concern is that ultraviolet light from the sun can potentially disintegrate the plastic, but The Ocean Cleanup responded by telling Wired that the high-density polyethylene plastic used in their tubes can reflect UV radiation. Slat's confidence in his design hasn't wavered, and said he was unfazed by the current setbacks. Boyan Slat walks in front of his first prototype ocean cleanup device on June 23, 2016. "Considering the things we have been able to prove in the past few months and considering the problems that we have faced, they seem quite solvable," he said. "I'm confident that the team will be able to design appropriate solutions for this and that we'll have the system back in the patch in a few months from now." His team hopes to make the system fully operational sometime this year. If the project succeeds, Slat's vision is to deploy a fleet of 60 more devices, projected to remove half of the Great Pacific Garbage Patch's plastic within five years. In this vision, one he has held since his teens, support vessels would act like ocean garbage trucks; ships would carry the plastics back to land, where they would be processed, recycled, and reused — not dumped back into the ocean. We've been checking in every so often with Boyan Slat. He's the CEO of The Ocean Cleanup. That's an environmental organization he founded to develop technology to clean up plastic in the ocean. 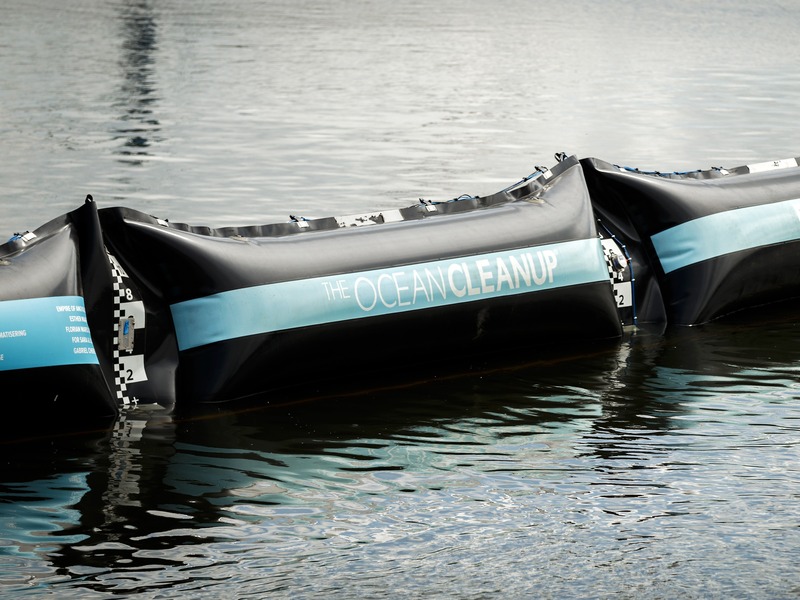 Now, we spoke with Mr. Slat back in September, just after his team launched a floating device designed to clean up that Great Pacific garbage patch. You'll remember that's a small island of trash between California and Hawaii. This is what he told us then. 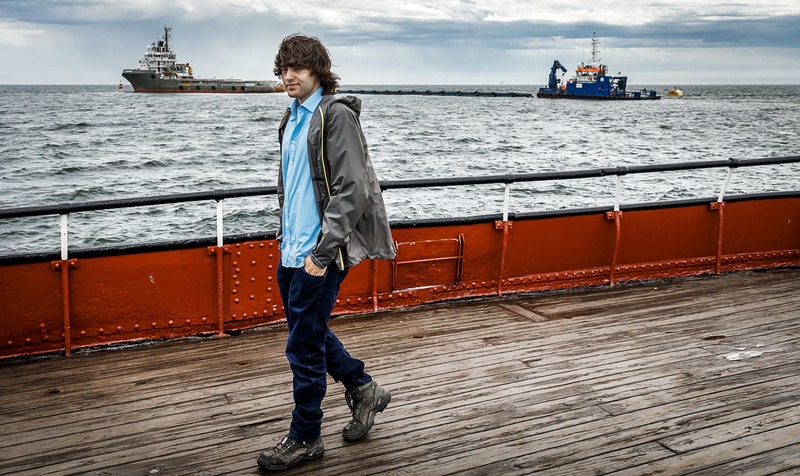 BOYAN SLAT: Now the real test starts. And we're now, you know, in the next days few - and weeks will really decide whether we can prove the technology because that's really what's required to scale up and rid the oceans of plastic boy. SLAT: My pleasure. Thank you. Transcript provided by NPR, Copyright NPR.